Ronald Keith Anderson, 72, of Paul passed away Monday, October 15, 2018. 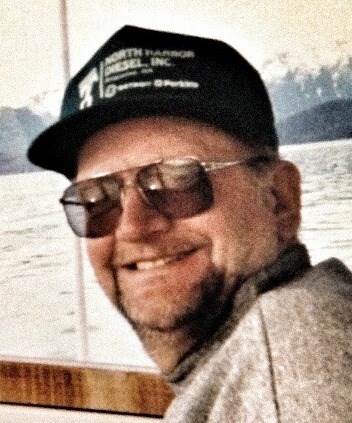 Ron was born in Rupert, Idaho and was living in Paul at the time of his death. He also lived in Petersburg, AK, Ephrata, WA and various parts of Alaska. Ron loved his cars, fishing, reading and learning and studying history and cooking. Ron and Debbie owned and operated Alaska's Best in Rupert and was a very active member of the community including organizing the yearly Thanksgiving Community Dinner for the past 15 years. He was very generous and helped many people. Ron is survived by his wife Debbie Andersen, daughters Keli O'Neil, Marlee Drake and Sara Pitman, brother Jerry Anderson, sister Jennie Cranney. He is preceded in death by his parents Amos and Bessie Anderson, brothers Ray Anderson and Jack Anderson and sister Betty Martin. Memorial services will be held 1:00 p.m. Thursday, October 25, 2018 at Hansen Mortuary. Services are under the direction of Joel Heward Hansen Mortuary. In lieu of flowers donations may be made to the Rupert Elks Lodge.